This is a recovered copy of a post lost in our server meltdown. Sadly we don’t have the comments. 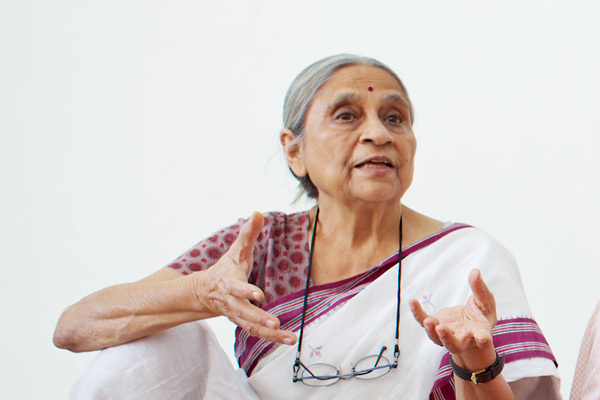 International Women’s Day could not have a better Friday Hoyden than Ela Bhatt. In this speech she also speaks of the nature of productive labour and the invisible work of women, but really there is so much good stuff in it, and in her other writing at this site, that it is better to go and read the whole thing. Bhatt was founder of the Self Employed Women’s Association in India, and of India’s first women’s bank. She works at the heart of current campaigns to end child marriage and ensure that girls are given an education and the chance to live their lives as full human beings. For me, she encapsulates everything that we would hope International Women’s Day would be about.